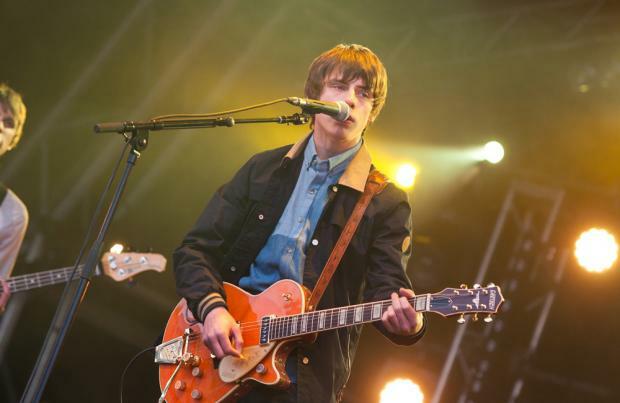 Jake Bugg never goes to gigs because watching other artists perform "messes with his head"
Jake Bugg has only been to "about seven" gigs. The 20-year-old singer admits watching other people perform "messes with his head" as it makes him worry too much about his own shows, so he would rather just enjoy music alone instead of seeing it live in a crowd. He said: "I've only been to about seven gigs in my whole life. "I think as a performer it messes with your head a bit. You think, 'What are they doing that I'm not doing?' when you should really just get on with what you do." When it comes to his own music, Jake feels "disappointed" in himself if he doesn't play his guitar every day." He told NME magazine: "I feel disappointed if I don't pick up my guitar in the day. I feel like I've not done anything. I'm not being productive." And the 'Lightning Bolt' hitmaker admitted he never stops working because nothing relaxes him more than coming up with new music. He added: ""Relaxing for me is writing songs and having my guitar there."